The first trailer for Captain Marvel was big but we hadn’t seen anything yet. 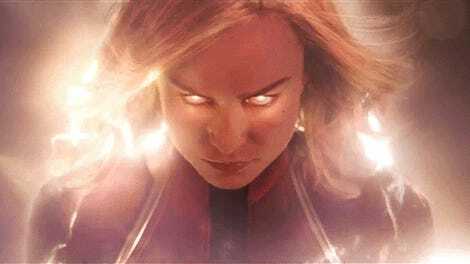 Now the second trailer is here, and the worlds of Carol Danvers have exploded onto the scene in ways that are sure to make your own head explode. Earth, Space, Skrulls, Nick Fury—they are all here and then some in the new trailer for Captain Marvel. Check it out. That trailer is incredible and, if you believe the rumors, there may be more to come from Marvel later this week. Yes, we mean that. And yet, Anna Boden and Ryan Fleck’s cosmic origin story looks so good, it almost makes us forget we’re getting two Carol-starring movies next year.